One thing you’ll probably noticed, especially if you’re a long term reader of this blog, would be the lack of (new) articles penned by me, The Kid. Good thing for us that old fellow of ours, John, has been here writing enough amazing articles to more than make up for my lack. What a journey it has been. One of highs and lows. One of fighting, loving, resisting, triumphing, praising, praying, weeping, rejoicing and warring. A journey, which at times I often thought was beyond me. And that right there, that last sentence is just the kind of lie and agreement the enemy throws our way, so we drop our fists, lay ourselves down on the mat and let the referee count to 10. I mean, who wants to fight when they are so fed up, and tired, and feeling defeated? I know for one that I didn’t, until the lord addressed a few things with me. If I am tired, and weary and fed up then I have been fighting in my own strength and not His. So I stopped and rejoiced, and allowed myself to experience joy. His Joy. His joy that is my strength. When you’re feeling tired, and weary and fed up that’s the time to fight. Because that’s the enemy wanting you to take yourself out of the match. With God in Us, He knows what we are capable, and it’s more than he has. He only has the power of deception at his fingertips. We have the authority of God. We are his sheriffs. We enforce his law on the earth! All principalities, powers and darkness bowed it’s knee to Jesus, and we inherited that. We need to enforce that victory. Otherwise we are effectively knocking ourselves out! It’s got nothing to do with what you can see, taste, hear, smell and feel. Your carnal body isn’t your spirit. It’s been living it’s own way from birth. Telling you when you are sore, hurting, tired etc. The spirit of God that lives in us, the true us can’t be any of things. So don’t identify with them. Give them back to Jesus who already paid for it! ( The best revelation I received was one where I would speak to my mountains and say “You have to leave, because you belong to Jesus, and I am prosperous/healed/loved/free etc). The truth is, we can’t just stand up once and tell the enemy to go away. We need to resist him and he will flee. So how do we resist? We need to match his force strength for strength and push back with the full word and truth of God! We need to use the full arsenal God has provided for us and torment the enemy to the same degree he has been tormenting us. If we don’t match his force we aren’t resisting, we are being driven back, inch by inch to the realms of being broken down, tired and weary. The word of God can’t lie. It is Jesus and Jesus is the word. When it says resist the devil and He will flee from you, you need to put on your armor, get out your sword and push right back. The enemy is so scared of us! Don’t let him convince you your are less than you are! There is no weakness in you. You are victorious. 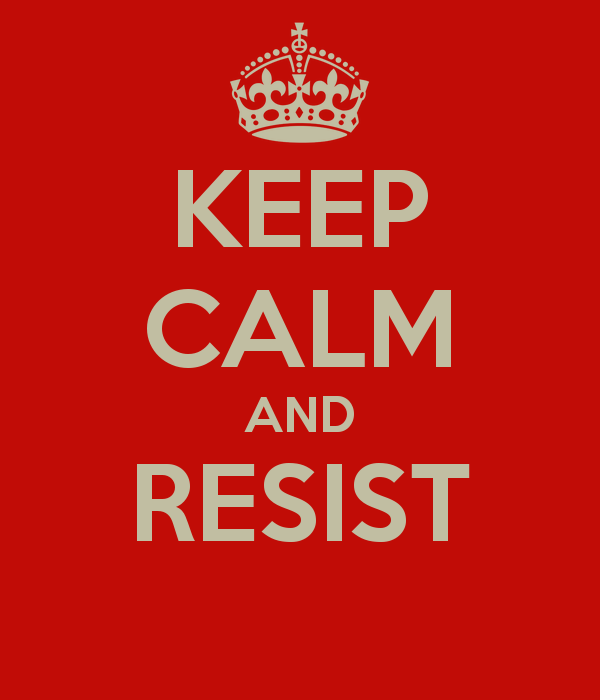 Resistance isn’t futile!! !